...and she added such fantastic artwork! 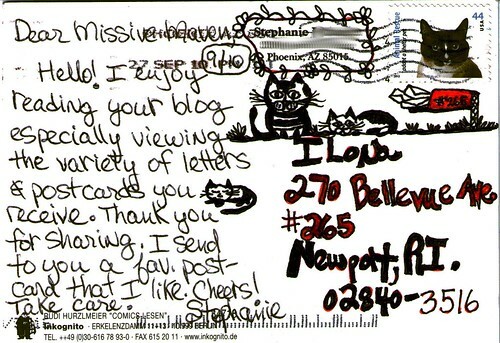 She drew two of my favorite themes: cats and mailboxes. 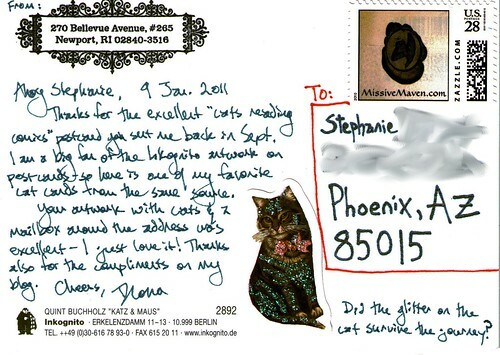 To keep the theme going, I sent her an Inkognito cat postcard in return. 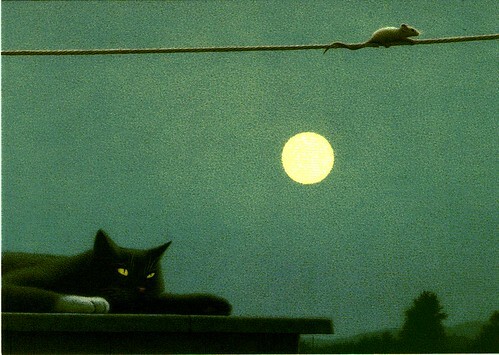 This one is called "Katz & Maus." those are awesome . I love em.. I had never heard of Inkognito cards before but they are wonderful--makes me want to take a trip to Germany and find some for myself! Bev, a lot of card shops sell them in the USA. I've gotten mine in funky card stores here before. I think you can order online from their website, but I've never tried that. Wonderful job on the drawings and what a fantastic card. I have seen Inkognito cards, but somehow not these. I love the drawing of the cats and mailbox! I, too, am a huge fan of both. To find a box full of letters and cards and then come inside to read them while my cat purrs beside me... There is nothing better! 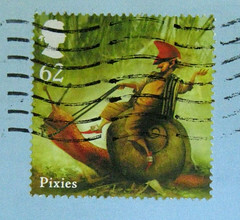 I tried looking at their web site, but the price is in Euros and I imagine that postage would be exorbitant. I will continue to check card shops! How sweet! 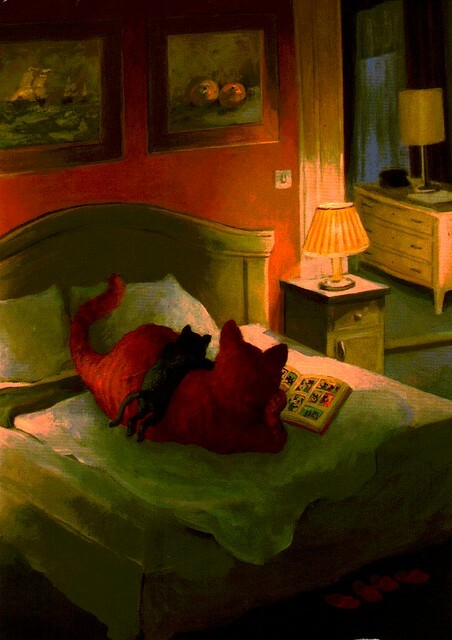 The cat on the bed reminds me of my two. I believe they read. If not, who can explain mysteriously turned pages, newly bookmarked pages, and cat whiskers in new books?